Suitable for: Everyone aged 7 years and over. Welcome to the mischievous and playful world of Circa Tsuica. 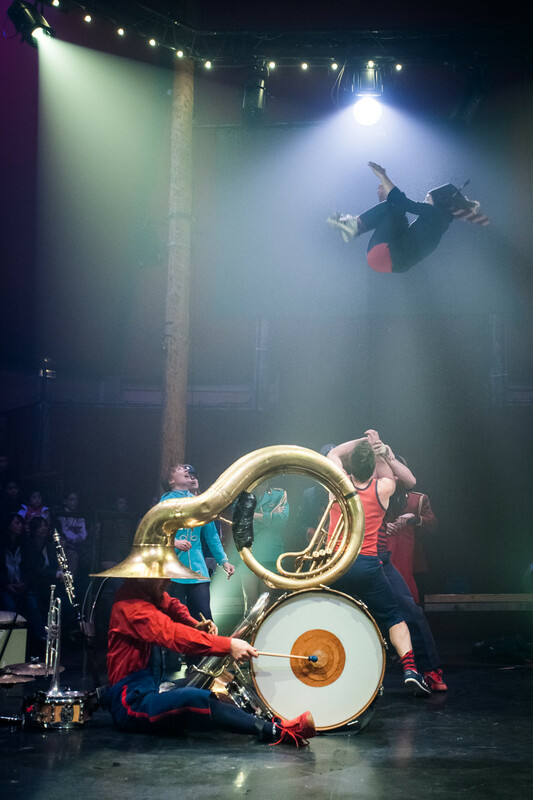 A company of cracking musicians and daredevil acrobats, they serve a cocktail of funky brass beats and awe-inspiring physical feats. 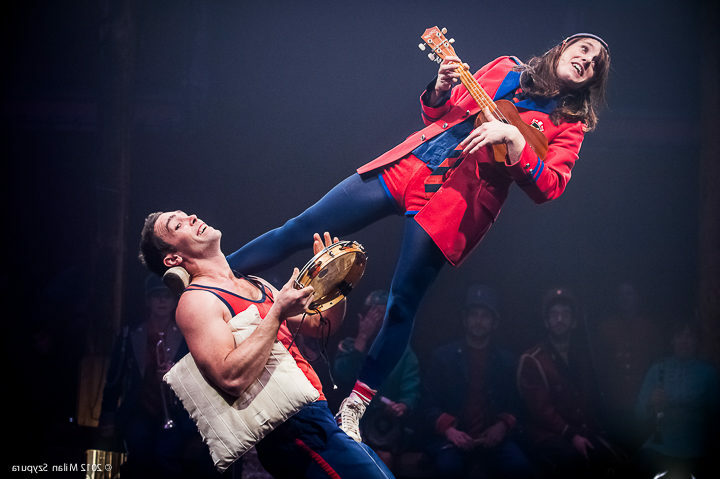 As the performers play a joyous blend of ripping rhythms they show off their outrageous circus skills without dropping a note – or each other! Through a potent blend of risk-taking acrobatics and foot-stomping live music, Circa Tsuica create a vibrant spectacle. Looking for a rip-roaring good time? Join them as they shake the party in this funny and uproarious show. 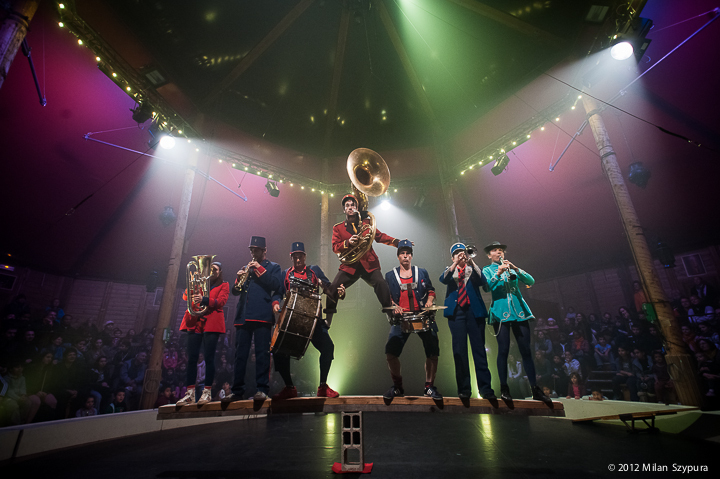 Circa Tsuica is the creation of Cheptel Aleïkoum, a collective of unique French entertainers who tour the world performing their feel-good shows. This is the Company’s first UK visit. The Company will be joined on stage at most of the venues by a local brass band. 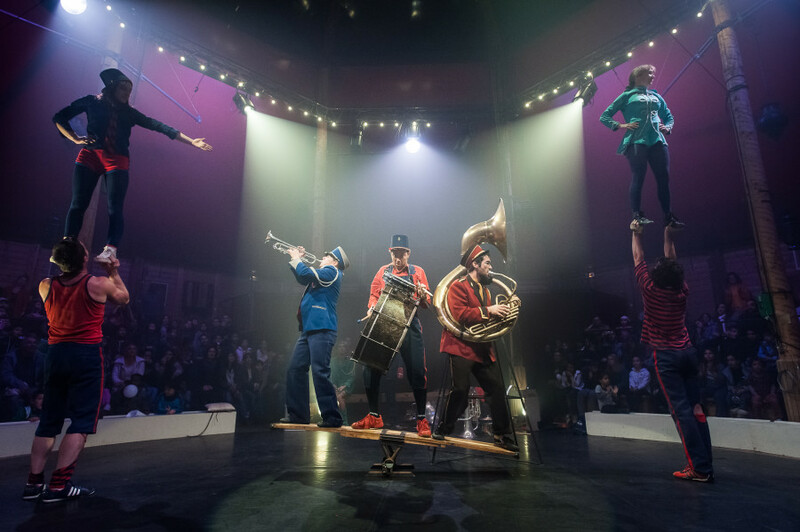 Circa Tsuica is the musical offspring of Cheptel Aleïkoum, the French company famous for bringing innovative pieces such as Le Repas or Le Bal Cirque to a growing number of people. 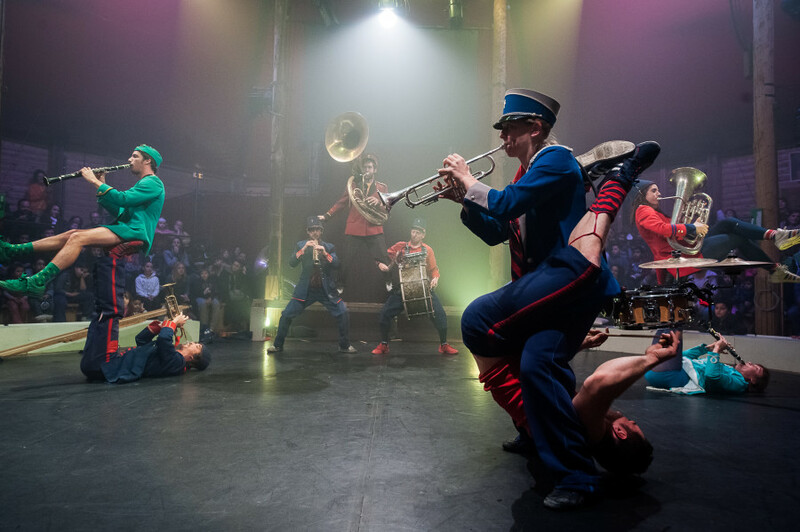 The members of the Cheptel (or livestock in English) met over 10 years ago, as they were studying at the Centre National des Arts du Cirque (National Centre for Circus Arts, Châlons-en-Champagne, France). Now, when they’re not touring the world, they live together as a community in Saint Agil, a small village in the West of France, where they brought back life and a passion for brass bands. Their name alone is enough to give you an idea of what they’re aiming for: “Tsuica” is Romanian for “brandy”, like the party spirit that inhabits all of their creations. 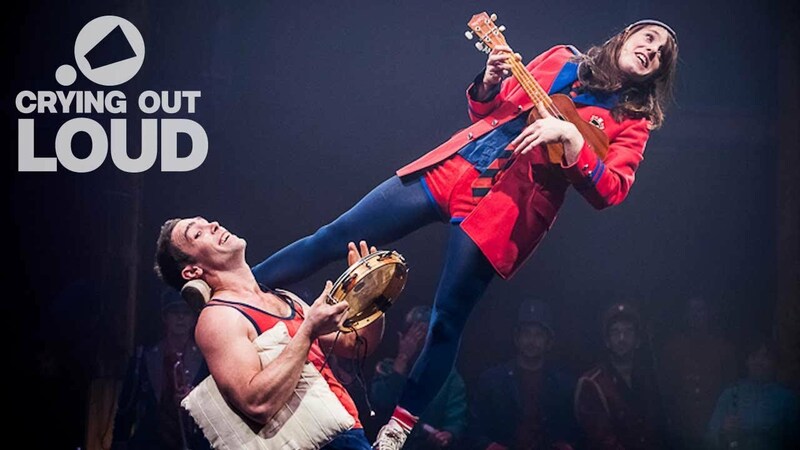 Fusing amazing skills and live music, they create a playground where humour meets jaw-dropping acrobatic tricks. Previously, they toured Europe with Opus 2, Fanfarerie Nationale, Maintenant ou Jamais.